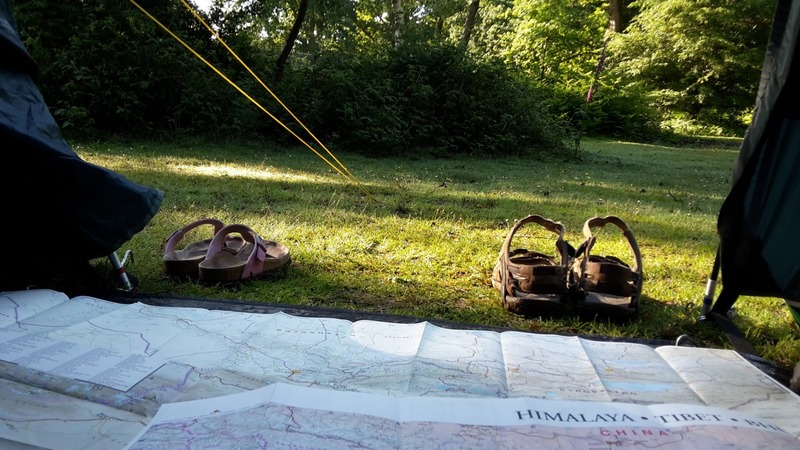 A map of the route Garry took on his 2000 mile cycle ride through India and Nepal showing where he spent each night. You can find out more about this tour on the India and Nepal page. 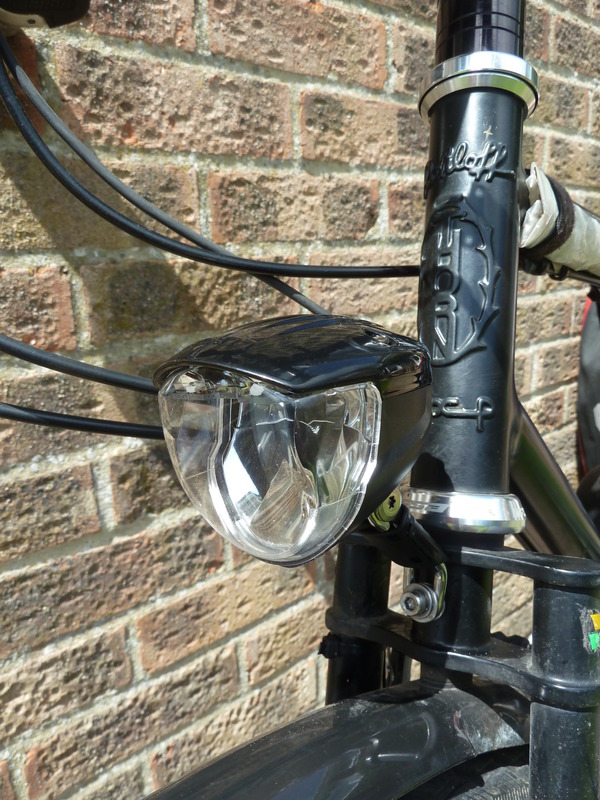 Garry’s choice of front light is the Busch & Müller IQ2 Lumotec Luxos u which arguably has one of the brightest and widest beams on the market, although Garry doesn’t ride very much at night it does come in handy when he does get caught out! 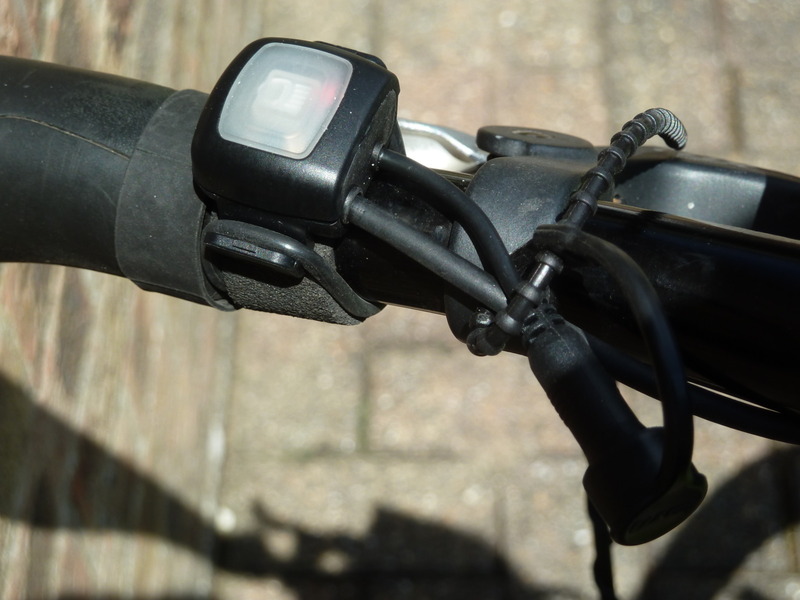 The Busch & Müller has a very handy handlebar switch that is used to switch the light on and off and is also used to switch between the different light modes of daytime running light, panorama light and floodlight. There is also a very handy extra cable coming out of the remote switch that gives you the ability to be able to charge a phone or almost any other electrical device that has a USB port. That comes in particularly handy when you’re mainly camping and don’t have easy access to electricity. After three years of trouble-free use, Garry’s Lumotec developed a problem and was unable to charge his phone, which as we all know is a major problem these days, considering that we all seem to run our lives by them now! So Garry got in contact with Busch & Müller who asked him to send it to them. 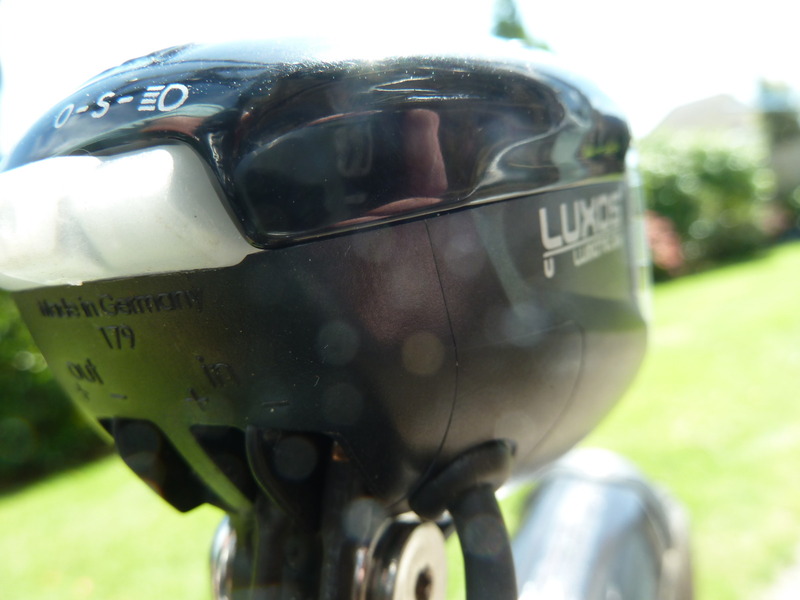 Unfortunately, Busch & Müller were unable to fix the light so as a goodwill gesture they sent a brand new Lumotec light in its place, despite the old one being three years old and totally out of any warranty or guarantee, what excellent customer service! The new Lumotec is now on Garry’s bike ready for use on his next tour where I think there will have to be a spot of night riding just to give it a try, although I’m almost certain that Garry will be using it for charging his phone long before any night riding! 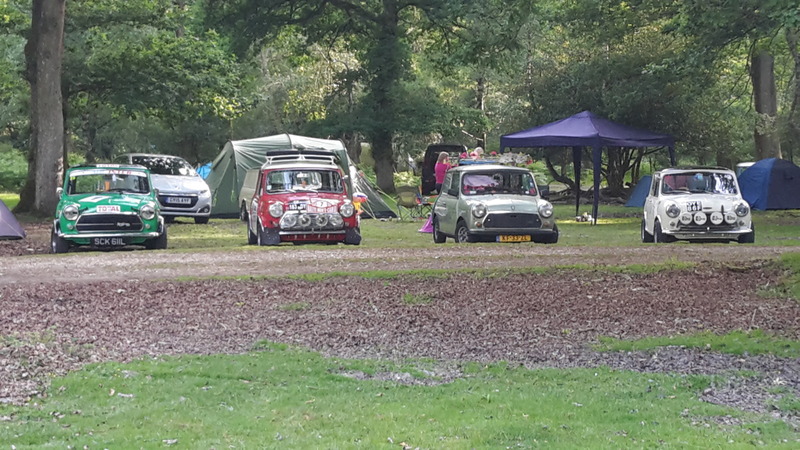 It’s been a nice busy month with a couple of camping trips, a trip to Wales which unfortunately wasn’t for the best of reasons and a day out at the Goodwood Festival of Speed. 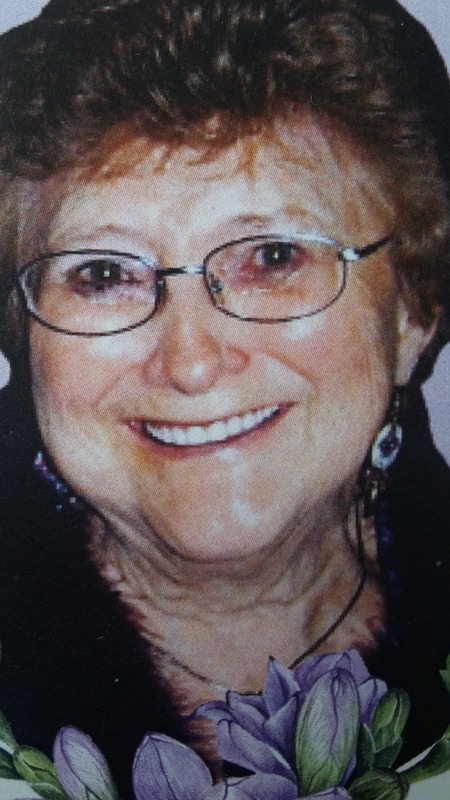 At the beginning of the month, I went to Wales which unfortunately was to attend the funeral of my auntie. Auntie Norma was a good age (87) and had led a happy and colourful life, in fact, her funeral was a very colourful affair with everybody dressed in bright colours, a white hearse and a purple coffin for auntie Norma, so although it was sad that she died it wasn’t as mournful as a lot of funerals! It’s going to happen to us all at some point; it’s the one thing that’s guaranteed in life! 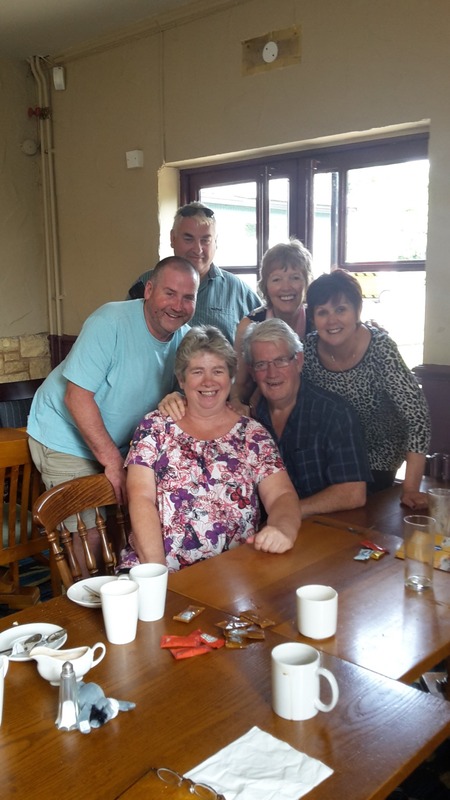 It was also nice to catch up with my cousins who I hadn’t seen for a few years. 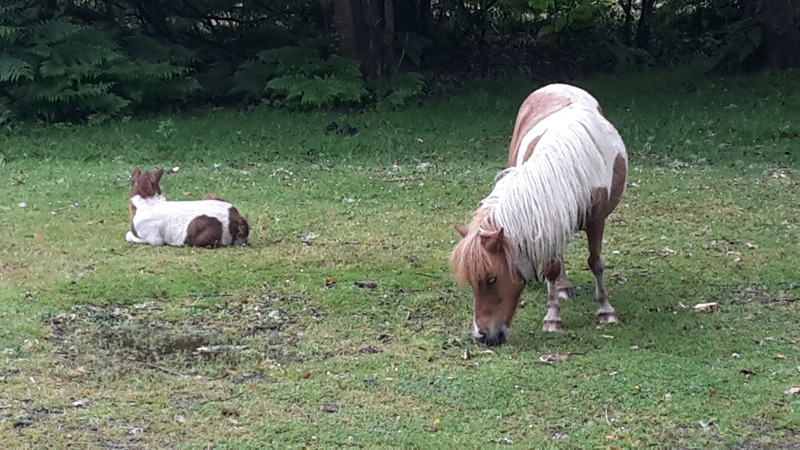 I had another weekend away down in the New Forest (just for a change!) which is always good, I just wish I could find a different route to cycle there, I think I’ve exhausted every possible way that there is to get there! Even the campsite staff recognise me now! I also spent the following weekend down in the New Forest, this time with Julie so we drove. It doesn’t matter where I am or what I’ve been doing I always get up early and camping with Julie is no exception, so while Julie was still asleep it gave me a good opportunity to look at some maps and plan some future rides. 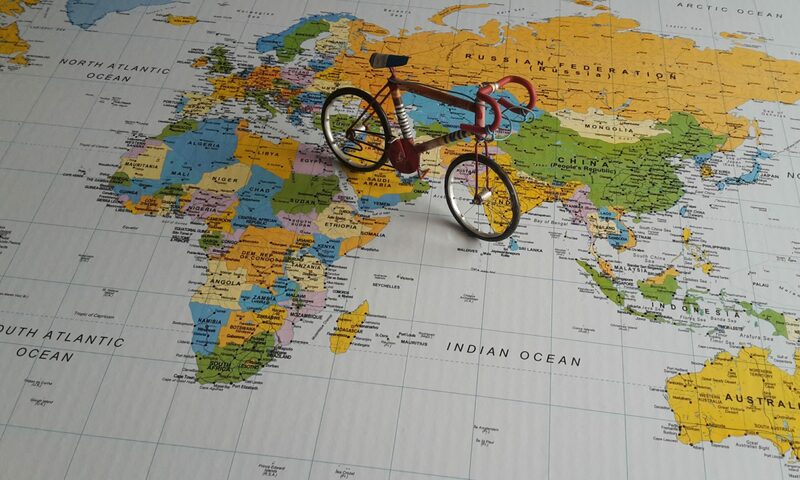 Ever since I completed my big ride around the world I’ve been bugged by the fact that I never actually rode the entire first leg which was from England to Bangladesh I ended up having to get a flight from Turkey to India missing out Iran and Pakistan due to political reasons. Well, just recently it’s been playing on my mind even more so because now you can cross into Myanmar (Burma) by land from India which again on my original trip was just not possible and again I had to get a flight! So every now and then I look at the maps in the hope that I can find a way to cycle all the way to and through Myanmar! But unfortunately, it still looks a no go. Iran looks ok until you get near the border with Pakistan then the British Foreign office advises against all travel there, Pakistan isn’t too bad and looks fairly safe well the route I would be taking anyway, but then that doesn’t matter as I’d never get there because of the situation in Iran. Another way I was looking at going was through the top of Iran and into Turkmenistan, Uzbekistan Tajikistan, Kyrgyzstan and onto China then down the Karakoram Highway but again that’s a no goer as you have to get a bus from Gilgit in Pakistan and I don’t want to do that I want to cycle! Also, the travel advice isn’t very good from Gilgit to Islamabad! One other possible route was to go again through the Stans and into China, but this time go through Tibet and Nepal and then into India that way, but once again political reasons are in the way! You can’t cycle through Tibet without a guide which would sort of be ok the only problem would be the price about $10,000 or more so that counts that route out and besides if I was paying that much to do it I’d want to do it my way without a guide! I find it so frustrating and annoying that I can see a way that I could cycle but due to political reasons or terrorist activity it just can’t be done! Still, I live in hope and will keep studying maps and checking the foreign office website in the hope that I will find a route through at some point! I know I could always go through the stans and into China and back to Kunming but then I don’t pass through Myanmar or India, I think basically what I want to do is my original route to India then pass through Myanmar to Thailand which was never an option before. Maybe I should just go for it and go through Iran and Pakistan and see what happens after all whats the worst that could happen?? On the last Sunday of the month Julie managed to get us some tickets for the annual Goodwood Festival of Speed billed as the largest motoring garden party in the world it brings together a mix of cars, both old and new, stars and motor sport royalty all doing a timed run up the hill past Goodwood House. We had a really good day up there and as much as I like riding my bike I do like cars and motor sport and the Festival of Speed is a good place to see all different types of motorsport from the Formula 1 cars of the modern era to 100-year-old vintage classics. The paddocks are open to everybody and you’re allowed to just wander around them, the noise some of the cars make when they fire up is unbelievable and goes straight through you! The only downside to the day if there was one is that when Nico Rosberg decided to do some doughnuts in his formula 1 car right in front of us for some reason my video of it didn’t work! Cycle Touring England Sunday 12th June. Brockenhurst to Bognor Regis. 56 miles. Late start this morning due to it raining, I’d seen the weather forecast last night which said that it was going to be heavy rain from about 4 am till 7 and I did debate as to whether or not to get up really early and pack away, but in the end I decided it probably wasn’t a good idea as I would then just get caught in the rain along the road, better to wait it out in the tent! It eventually stopped raining just before 9 o’clock so I I quickly packed everything away and I was on the road by 9.30. The ride home was uneventful and I came back the fastest route which was along the main roads avoiding the ferries. I even managed to dodge all the rain that was about and walked in my door at about 3.30.